CHEESA: Chemical Engineering Research Articles is scientific journal that publishes articles in the field of Chemical Engineering, Organic Chemistry, Inorganic Chemistry, Analytical Chemistry, Biochemistry, and Physical Chemistry. It is a journal to encourage research publication to research scholars, academicians, professionals and student engaged in their respective field. 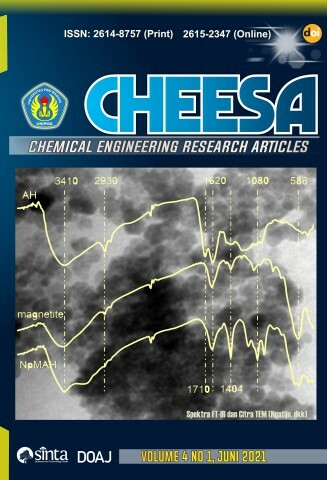 Chemical Engineering Research Articles is published by Universitas PGRI Madiun on June and December. 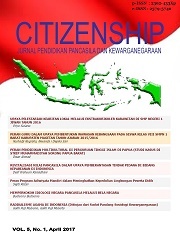 Citizenship is a high-quality open access peer-reviewed research journal that is published by civic education departments of UNIPMA. Citizenship is providing a platform for the researchers, academicians, professional, practitioners and students on civic education research. Focus and scope on citizenship: Civic Education Research; Media Development and Learning Model of Civic Education; Evaluation and Assessment of learning Civic Education; Research and Development of Civic Education; Civics; Constitutional law; Social and Politics. Citizenship has registered number ISSN: 257-5740 (Online), ISSN: 2302-433X (Printed). Counsellia: Jurnal Bimbingan dan Konseling with registered number ISSN: 2088-3072 (Print) and ISSN: 2477-5886 (Online), is a peer-reviewed journal which publishes conceptual ideas, studies and research on the theory and application of Guidance and Counseling also education related to Guidance and Counseling. Counsellia is published by Departement of Guidence and Counseling Faculty of Teacher Training and Education Universitas PGRI Madiun. Any changes to the journal will be delivered on Journal History. Abstracts and full text that have been published on the website can be read and downloaded for free. Counsellia publish regularly two times a year in May and November. Template Counsellia:Jurnal Bimbingan dan Konseling can be downloaded here.